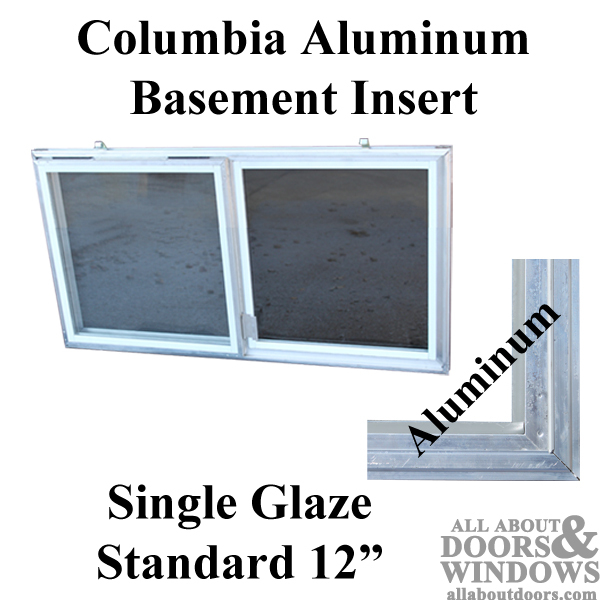 The Columbia Series 300 aluminum basement window is a single glazed aluminum basement insert. 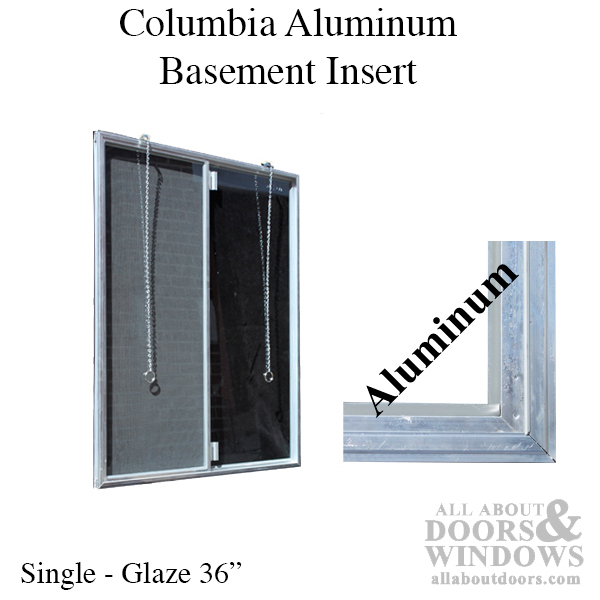 Needs no tools to install -- uses high tensile steel spring clips to secure the insert in the opening. 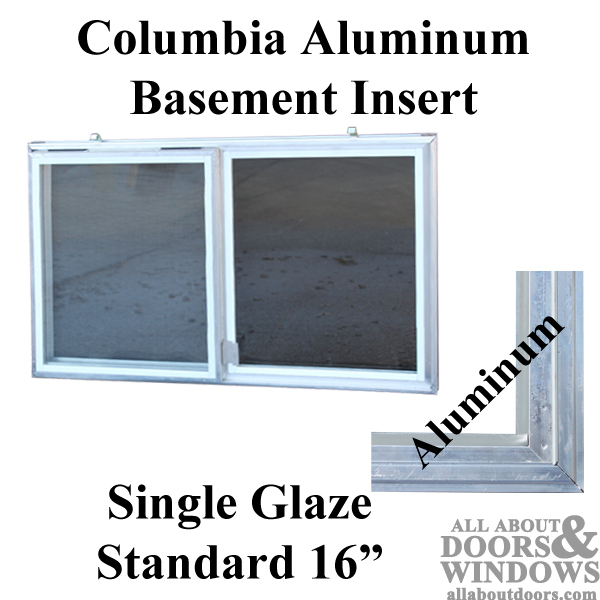 Available in Aluminum mill finish. Note: The Columbia Series 300 replaces Columbia, Monarch and Kewanee single-pane basement inserts.